These gadgets can solve common relationship problems. Bonus: they're all cheaper than therapy. Ah, marriage. You weren't kidding when you vowed "for better or worse," and sometimes that "worse" seems pitifully trivial. Lack of sleep, a silly spat over lost keys, or even dirty dishes can sometimes make you feel like throwing in the towel. But never fear. You chose each other for a reason, and these devices will help you stop sweating the small stuff, and get back to what's most important: enjoying each other. From an app that wakes you up silently and let’s your partner sleep in to a DVR that allows you to watch two live shows or record up to six at once, here are 10 products that will squash fights before they start. He's constantly misplacing those great sunglasses you got him for his birthday, but that doesn't stop him from getting annoyed with you when the keys disappear in the abyss that is your purse. 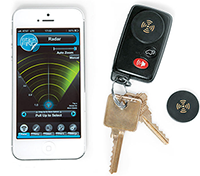 Now you can both get over your anger quickly with the Stick-n-Find Bluetooth Location Tracker. Simply stick a quarter-sized tracker on any item you are likely to misplace, and you can find it using an app on your smartphone (just make sure you don't lose that!). The app can track up to 20 items within a 100-foot range, and will alert you when an object moves outside of (or into) tracking range. The stickers buzz and glow in the dark to make finding easy in any conditions (from $49.99, brookstone.com). You need to spice things up, and sometimes a few extra candles or a slinky negligee won’t do the trick. If you’re nervous to suggest your deepest sexual fantasies, let Kindu do it for you. Inspired by a sexual health course, the app aids intimacy by making communication easy and embarrassment-free. It suggests ideas to try in the bedroom (or not), ranging from new positions to exhibition to activities that will make you feel the love, and you can rate them “definitely,” “no thanks,” or “maybe.” Your partner does the same, and then Kindu records. But don’t worry, you can rank that fetish a “definitely,” and you’ll never know if they ranked it a “no.” All that’s left is the good stuff ($1.99, kindu.us). Before you pack up and move to the second bedroom, consider a fix for the chainsaw that interrupts your restful sleep. Snoring is a medical issue, and can often be treated with a mouth guard or other medical device. 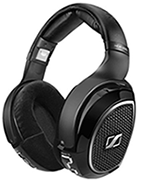 If your partner is resistant to that, you can start with AntiSnore. The “snore-killing” app analyzes noises and vibrates to alert the snorer to change positions without waking them (or you) up. 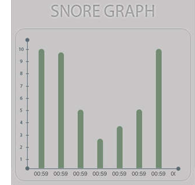 Plus, each night it produces a snore graph, so that when he or she refuses to believe they snore, you’ve got proof ($.99, itunes.apple.com). 5. If You Would Only Turn Down the TV!